I have two questions. What isn’t a joke? And is the G silent? That is going to bug me all day! 🙂 Did they mean GMO? Is the greatest snow on earth what is no joke? You really should have followed them until you could ask….or it it was parked you could of a nice little note demanding an explanation with your email. 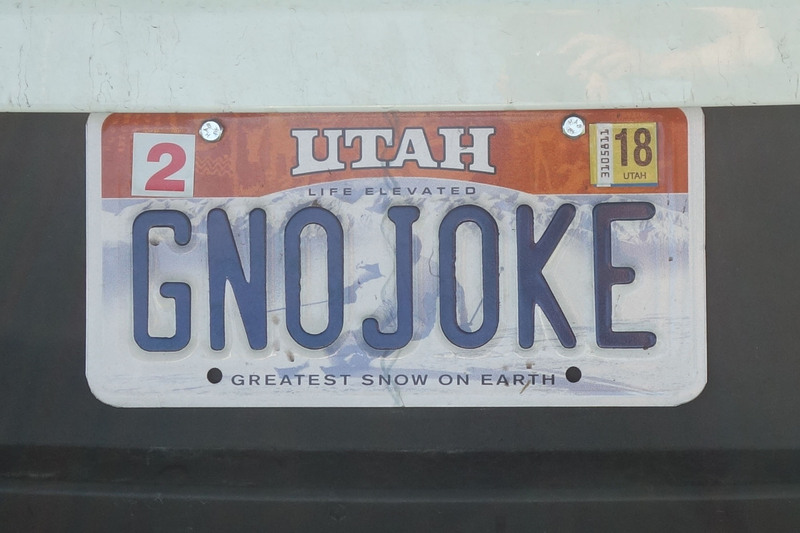 Really, if you are going to have a license plate like that you really have to expect to be asked daily by people what in the world you are trying to say. GNO JOKE!